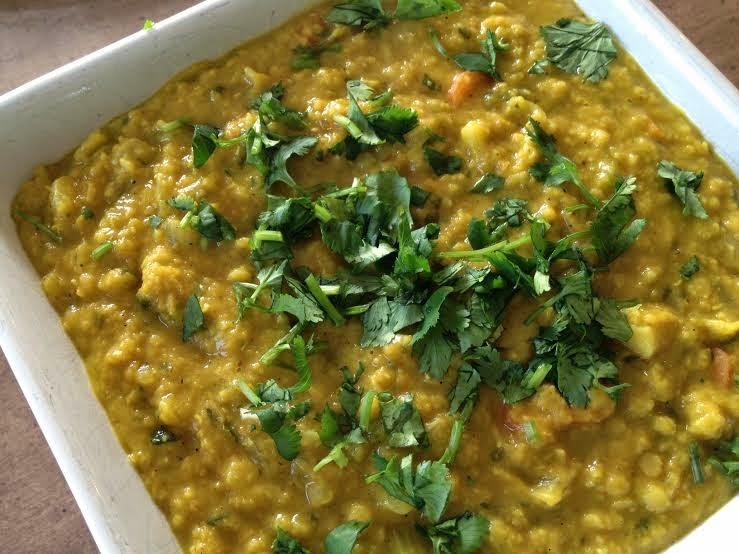 Curried Red Lentils are a healthy and easy dish for weeknight dinners! These days, I need quick, healthy, and easy meals. Life with four kids - all with varying needs - leaves less time for meal planning and execution. These curried red lentils are always a hit, can be ready in 45 minutes or less, can be easily adapted, and are nutritionally great. This can also be made gluten-free, vegan, vegetarian, and dairy-free. While I have changed this recipe a fair bit and generally double it for my family, the original inspiration came from one of my favorite cookbooks, More With Less. I serve this over brown rice - just put it in your rice cooker with plenty of time to fully cook. Combine the veggie mixture and the lentils. Cook on low for just a few minutes stirring frequently to allow flavors to combine. Remove bay leaf before serving. Top with fresh cilantro and serve over rice, quinoa, or couscous.